UNITED STATES: The Federal Energy Regulatory Commission (FERC) has stopped proceedings on a rule that would have provided financial support to coal and nuclear projects in order to supply baseload power. In September 2017, US energy secretary Rick Perry recommended FERC allow payments to coal and nuclear sources of energy so they could continue to provide baseload supply. Perry wrote in a letter to FERC: "Distorted price signals in the commission-approved organised markets have result in under-valuation of grid reliability and resiliency benefits provided by traditional baseload resources, such as coal and nuclear." In rejecting the plan and terminating the proposal, commissioner Richard Glick argued: "The proposed rule had little, if anything, to do with resilience, and was instead aimed at subsidising certain uncompetitive electric generation technologies. "The department's own staff's Grid Study concluded that changes in the generation mix, including the retirement of coal and nuclear generators, have not diminished the grid's reliability or otherwise posed a significant and immediate threat to the resilience of the electric grid. "To the contrary, the addition of a diverse array of generation resources, including natural gas, solar, wind, and geothermal, as well as maturing technologies, such as energy storage, distributed generation and demand response, have in many respects contributed to the resilience of the bulk power system," Glick added. As well as stopping work on the proposal, FERC said it would direct regional transition organisations (RTO) and independent system operators (ISO) to supply information on "certain resilience issues and concerns". FERC said this feedback would allow it to "examine holistically the resilience of the bulk power system". "The goal of this proceeding is: to develop a common understanding among the commission, industry and others of what resilience of the bulk power system means and requires; to understand how each RTO and ISO assesses resilience in its geographic footprint; and to use this information to evaluate whether additional Commission action regarding resilience is appropriate at this time," FERC said. According to The Hill news website, four of the five members of the commission were nominated by Donald Trump. 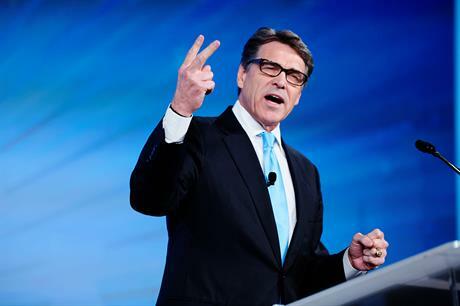 Perry's proposal was attacked by lawmakers and industry groups. The American Wind Energy Association (AWEA), with nine other industry bodies including those for gas, solar and storage, issued a joint statement, backing FERC's decision to stop the Perry proposal. "We are very encouraged by the action taken by FERC today. We look forward to engaging with FERC, DOE, and grid operators in an examination of what resilience of the electric power system means and requires, and to demonstrating the contribution of our industries to ensuring reliable power for all," the statement said.